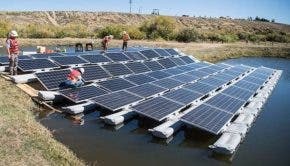 Despite recent rocky waters, the US solar saw something of a turnaround in the second quarter, with utility-scale solar procurement soaring and residential installations stabilizing, according to new research published this week by Wood Mackenzie Power & Renewables and the Solar Energy Industries Association (SEIA). Close observers of the US solar industry will already be aware that the Trump Administration has not been a friend to the industry, serving instead to create mass uncertainty over its near-term future. The threat and then the confirmed introduction of tariffs on imported solar modules and cells sealed the deal earlier this year, both serving to severely constrain development. However, according to the most recent US Solar Market Insight Report from Wood Mackenzie Power & Renewables (formerly GTM Research) and the Solar Energy Industries Association (SEIA) published on Thursday, the US solar industry began to show signs of a turnaround in the market — despite also being the first quarter to show a marked impact from tariffs on imported solar products. A total of 2.3 gigawatts (GW) was installed in the second quarter — a 9% year-over-year increase and a 7% quarter-over-quarter decrease — and helping to account for 29% of all new electricity generating capacity brought online in the first half of the year. Specifically, the report highlighted soaring utility-scale solar procurement in the second quarter due to the decline in component prices, and a steadying to the country’s residential solar sector after it experienced a 15% contraction in 2017. “Once lower-than-expected module tariffs were announced in January 2018, developers and utilities began announcing new projects,” Wood Mackenzie Senior Analyst Colin Smith explained in the report. “As we move toward 2019, we expect to see continued procurement growth as developers look to secure projects they can bring online before the Investment Tax Credit (ITC) steps down to 10% in 2022.” All combined, and even with the addition of Trump’s 30% tariff, solar module prices are at their second-lowest mark in history. “Except for residential PV, U.S. system prices are at their lowest levels ever,” the report explained. With this surge in procurement, Wood Mackenzie Power & Renewables has increased its five-year forecast for utility-scale solar out by 1.9 GW, but this is still down 8% on forecasts before the tariffs were announced. The US residential solar sector saw a total of 577 megawatts (MW) installed in the second quarter, which is around the same level installed in the first quarter of 2018 and in the second quarter of 2017. According to the report, previously lacklustre were less the result of the threat or imposition of tariffs and more a result of customer acquisition challenges and the scaling back of several large residential installers. Community solar continues to experience rapid growth, led by the states of Massachusetts and Minnesota, helping to install over 300 MW of community solar through the first half of the year. In the end, however, despite several bright spots, Wood Mackenzie and the SEIA predict that the solar market as a whole in 2018 will remain flat — which is good news, in part, considering that the tariffs and political uncertainty could have had a much more dramatic impact. Specifically, Wood Mackenzie forecasts flat growth in 2018 compared to 2017 with 10.9 GW of new solar PV capacity expected to come online. The report expects that most of the utility-scale solar being procured today will come online by 2020, at which point 28 US states will be adding at least 100 MW of solar annually, and 25 states at least 1 GW annually.